Sports have been an integral part of the lives of the residents of northeast India. It helps to uphold the region's age-old traditions. The love of sports in the northeast region can also be seen in their festivals. Recently, an 'open archery' competition and a 'Muay Thai' professional fight were held in Shillong and Jorhat cities respectively. Promoting the indigenous sporting activity of Khasi Community and one of the oldest and most popular traditional sports of Meghalaya, an open archery competition was held in Shillong. Locally known as 'Thoh Tim', this gambling through archery is a game of chance. According to a legend, the Khasi Pnar people believed the game is a milieu of interpretation of dreams and if a person dreamt a good dream before the game, one stands a chance to win big money at the game. The event was organized by 'Khasi Hills Bookies Welfare Association'. This well known local traditional game showcased Meghalaya's connection with arrows and bows since time immemorial. 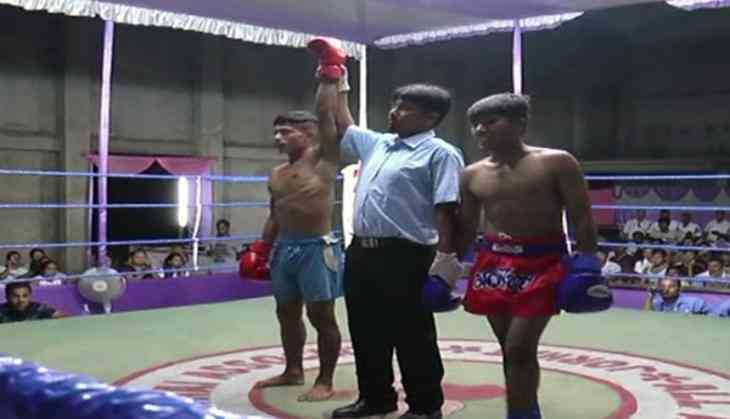 In Assam's Jorhat district, the first ever professional martial arts championship titled 'Contender India titled Muay Thai Professional Fight' was conducted at CKB Commerce College Indoor stadium. During the six-day-long event, around 130 fighters from eight different states of India took part, competing under four different categories. 'All Assam Amateur Muay Thai Association' under the aegis of 'All India Amateur Muay Thai Federation,' Imphal of Manipur organised the event. Speaking to ANI, president of Contender India Rakeesh Meetei said, "With this tournament, we aimed to produce professional players to compete at the International platform. We are planning to conduct this tournament every year and make sure that the country will qualify at the international level championship too." It also aims to make martial arts a professional event in India like any other games which have become professional events in India in recent times. Muay Thai or Thai boxing is a combat sport of Thailand that uses stand-up striking, along with various clinching techniques and punches. It became widespread internationally in the 20th century, when practitioners defeated notable practitioners of other martial arts. A fighter, who hailed from Manipur, said, "I am happy to be part of this competition and it is my first time to participate such event. Either I win or lose, I firmly believed that I will learn something from here and help me to improve my skills in martial arts." Such events and tournaments open up gateway for the amateurs to showcase their talents and skills and be indentified for bigger opportunities. Moreover, it becomes a reminder to the youngsters of the rich culture and traditions of the community and revives the glory.